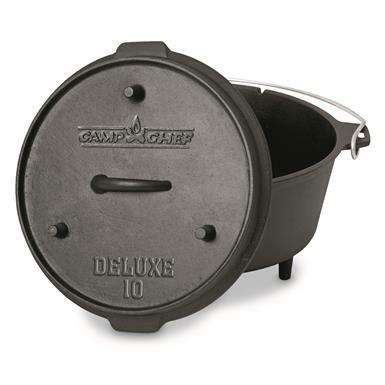 If you've ever tasted outdoor Dutch Oven cooking, you know that mouth-watering goodness that comes with every bite. 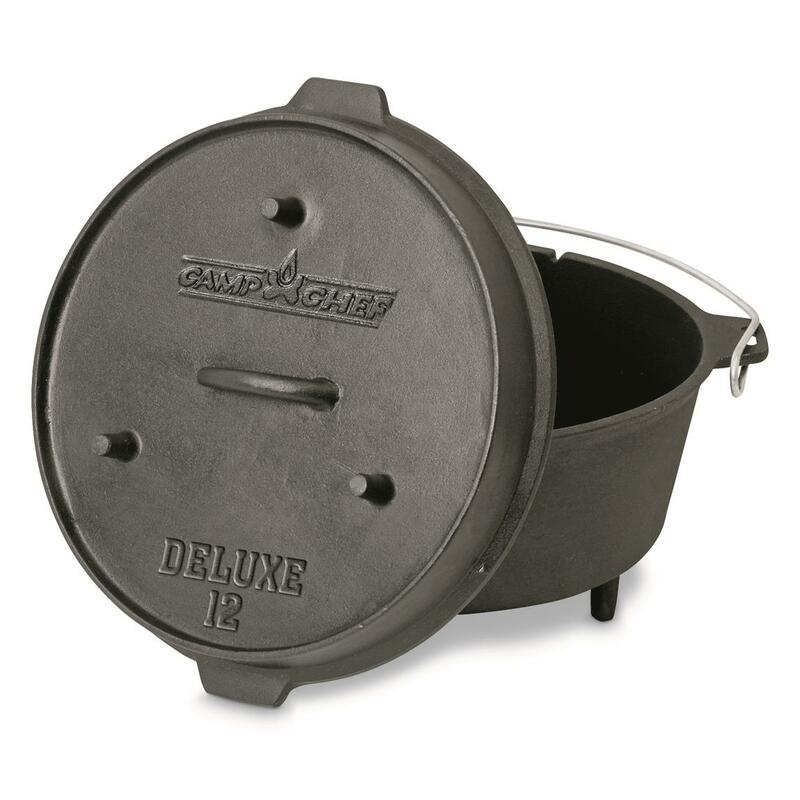 Start off your Cast Iron collection right with this Deluxe Dutch Oven. 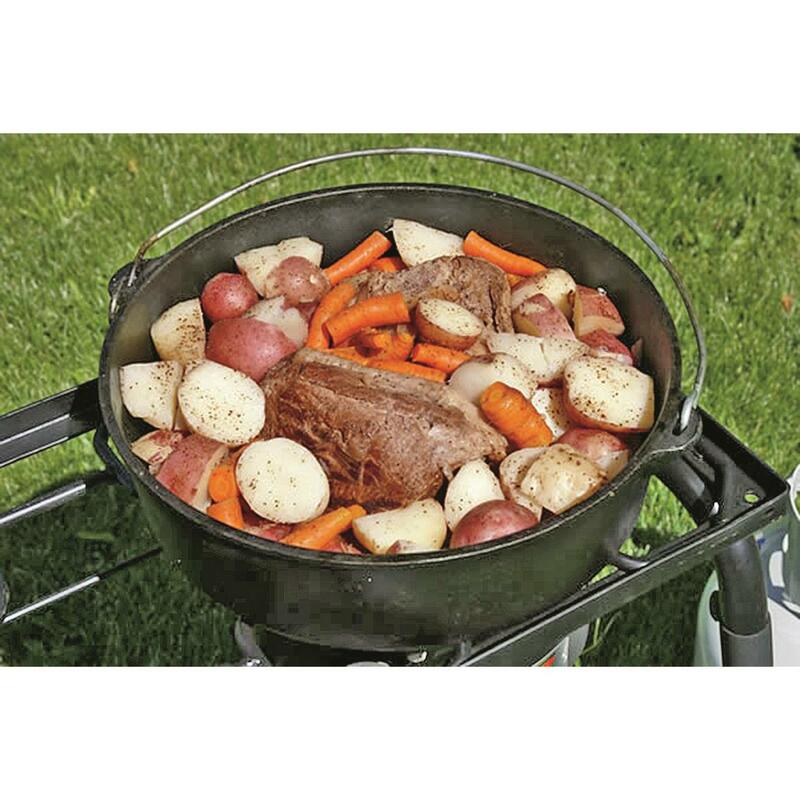 Cast Iron distributes the heat evenly to create delicious slow-cooked meals that'll make your next outdoor adventure that much more memorable. Comes pre-seasoned, so you can get cooking right out of the box. Choose from 6-Qt. or 9-Qt. 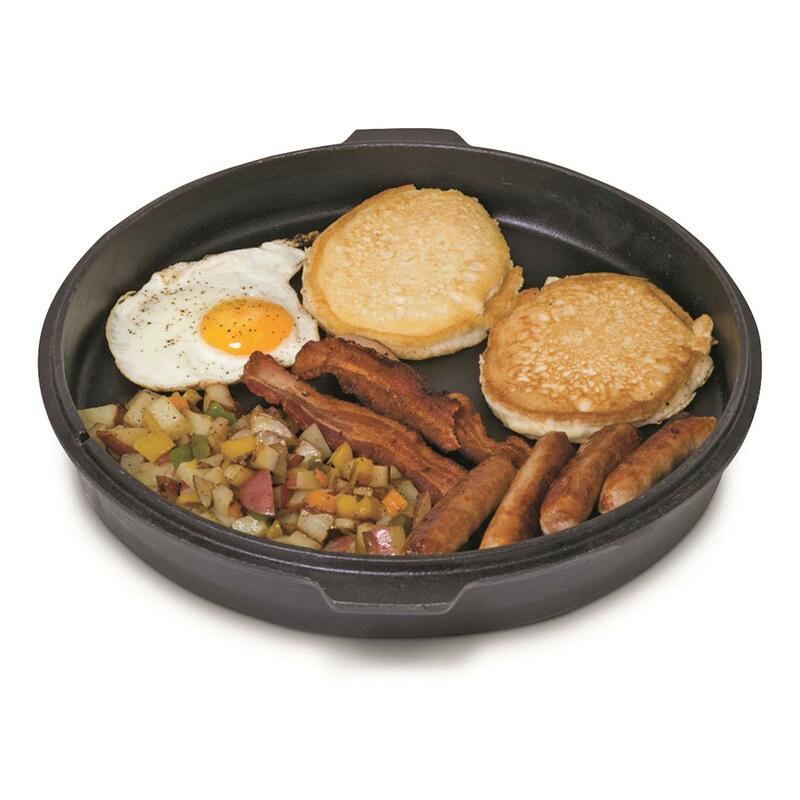 size, each with a lid that doubles as a skillet. Add a little more Cast Iron to your cookware lineup today. Order today! Camp Chef Cast Iron Deluxe Dutch Oven is rated 4.8 out of 5 by 5.